Australia’s sheep flock is expected to decline further this year. AUSTRALIA’S national sheep flock is forecast to decline to 65.3 million this year leading to new lows in lamb and mutton production as strong international demand continues. Meat & Livestock Australia’s 2019 Sheep Industry Projections predict Australian lamb slaughter will reach lowest level since 2012 as the poor conditions of 2018 are expected to continue to affect sheep meat supply this year. Lamb slaughter is forecast to decline 7 percent in 2019 to 21.2 million head, and sheep slaughter is predicted to be down 16pc to 8 million head, underpinned by substantial drops in marking rates and the culling of large numbers of ewes and ewe lambs. The national flock is estimated to have declined by more than 4 million head, or 6.1pc, to mid-2018 and is forecast to experience a further decline of 3.7pc by mid-2019 to 65.3 million head, as many producers waiting for rain are forced to continue destocking. MLA’s market intelligence manager, Scott Tolmie, said sheep and lamb carcase weights were impacted by the tough conditions and high cost of feed in 2018, and this is expected to continue in 2019 with feed stocks depleted and feed demand to remain high until conditions improve. “The average lamb carcase weight is expected to remain around 22.4kg/head in 2019 while the national average sheep carcase weight is expected to stabilise in 2019, at 23.6kg/head. “A fall in slaughter and carcase weights is driving the 7pc forecast decline in lamb production for 2019 to 475,000 tonnes carcase weight. “Mutton production will likely see a steeper drop of 16pc to 188,000 tonnes cwt,” Mr Tolmie said. 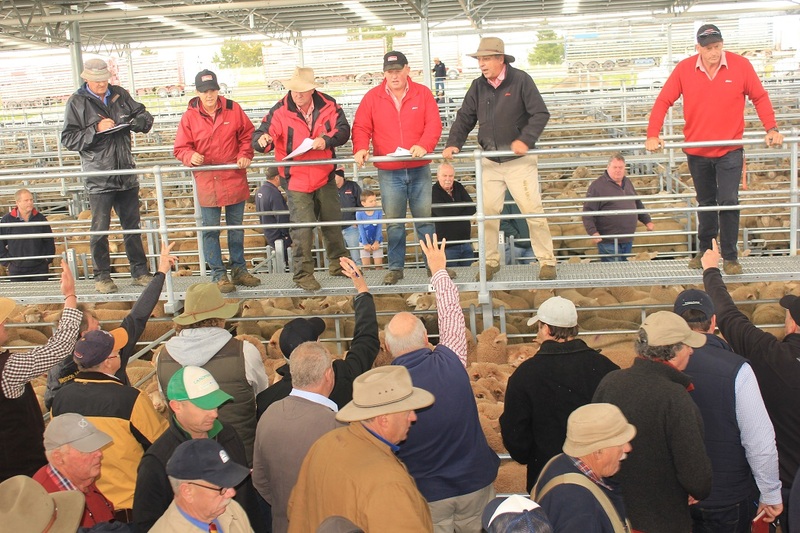 2019 is expected to be a positive year for saleyard sheep and lamb prices. Mr Tolmie said a variety of indicators point towards 2019 continuing to be a positive year for sheep meat prices. “Fortunately, robust international demand and a low Australian dollar will continue to support Australian exports and, in turn, domestic saleyard prices. “Records were broken in 2018 as markets around the world competed strongly for Australia’s high quality sheep meat,” he said. 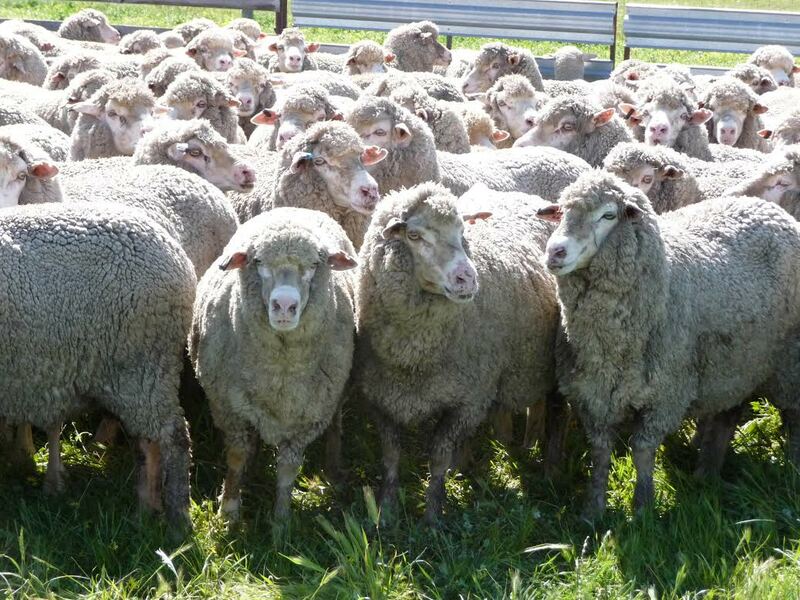 “The expectation for supply, and consequently exports, to decline in both Australia and New Zealand will likely see global competition for sheep meat intensify in 2019. Mr Tolmie said sheep meat supplies from Australia and New Zealand – which account for more than 70pc of global trade – have been unable to keep pace with strong global demand, led by China in 2018. Mr Tolmie said in 2018, Australian lamb exports increased 7pc year-on-year to a record 267,000 tonnes, while mutton shipments jumped 23pc to 180,000 tonnes. “Reflecting a reduced flock and limited supply, 2019 lamb exports are forecast to contract 8pc to 247,000 tonnes, while mutton is projected to fall 16pc to 151,000 tonnes,” Mr Tolmie said. Mr Tolmie said many producers will be hoping for some consistent rainfall this year to help alleviate some of the pressures associated with high feed costs. “Unfortunately, the current Bureau of Meteorology (BOM) three-month outlook does not point to an immediate reprieve from the current hot and dry conditions. “Considering the substantial moisture deficiencies apparent in many regions, particularly New South Wales, any improvement in conditions would require consistent above-average rainfall over the coming months,” Mr Tolmie said.